Kinta FX combines an LED derby effect, SMD strobe in one compact fixture. These effects can be coordinated to create a variety of exciting looks that feature multicolored derby beams, dynamic strobes and chases plus hundreds of sharp red and green laser beams. 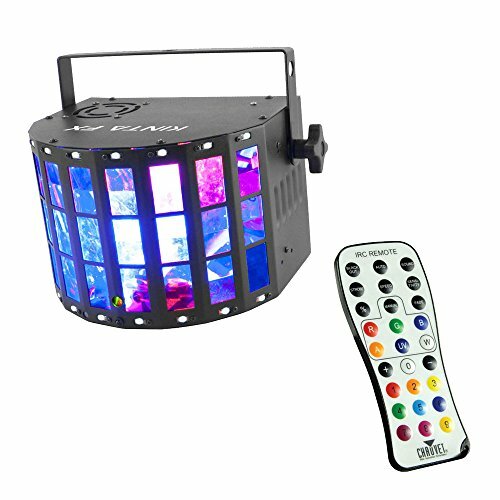 Control this versatile fixture easily via DMX, master/slave, optional IRC-6 remote or its digital display. Multiple units can be power linked to save time running cables and extension cords. Fits best in the CHS-30 VIP Gear Bag.